`Splosion Man is coming to the Xbox Live Arcade this Wednesday, July 22nd with it's furious and gaseous four player cooperative gameplay. For 800 you'll get 50 multiplayer levels to play with your friends on top of the game's single player mode. 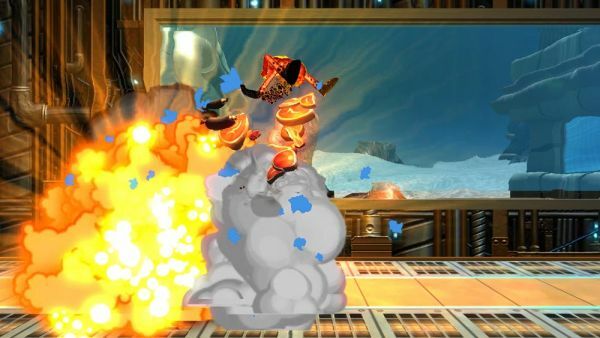 What's more the game supports unlockable Avatar items, free premium themes and more just by blowing stuff up. How awesome is that? 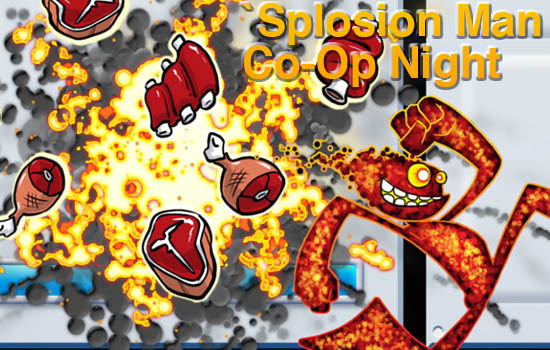 It's so awesome that we are hosting an impromptu co-op night this Thursday, July 23rd starting at 8PM EDT. Do join up use the game's built in match making, send an invite to the gamertag cooptimus or look for the follow staff tags on Xbox Live: bapenguin, Shadokat Regn, OrigamiPanther and DjinniMan. I've heard stuff blows up in this game. We've even got seven codes* for the game to giveaway We'll do our best to get them to you fine folks before festivities kick off. Want to win one? Simply leave a comment and tell us what you'd like to explode the most. Update: All winners have been notified. Thanks to everyone who entered and I hope to see you for co-op night! We hear the Twisted Pixel folks might even join in on the Splodin! Twisted Pixel Accuses Capcom of "Complete Theft"
Page created in 0.2818 seconds.